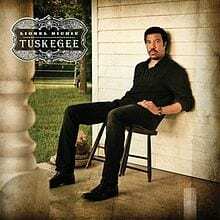 Lionel Richie’s Tuskegee is hanging tight at No. 1 on the all-genre chart for the second consecutive week. The country duets project moved 114,110 units this week, with RTD sales totaling 536,967, making it the best-selling country album of 2012 just three weeks after release. The project, released via Mercury Nashville, saw a week-to-week sales slip of 11 percent. Richie and Ray Charles are the only artists in history to have No. 1 albums on both the Billboard Country Albums and R&B/Hip-Hop Albums charts.